With the beginning of the year 2019, it is evident that people are already planning to make investments that come with tax benefits. Salaried and business owners can save a lot on taxes if they are aware with top tax saving investments in India that are compatible with section 80C of the Income Tax Act, 1961. ELSS is a form of mutual funds investment scheme that provides tax benefits to its investors. 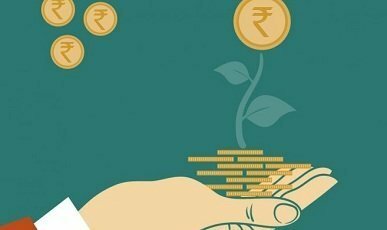 Despite from subject to market risk, Investing in Mutual is preferred and top tax saving investments, It falls under the 80C section of 1961’s Income Tax Act. One should be aware of the fact that, similar to all mutual fund schemes, ELSS returns are not at all fixed nor guaranteed. Investors will get paid regularly on a dividend option that is chosen by them on a regular basis. It is true that the interest rates offered by banks on their fixed deposits are falling for some time but the intervention of the Finance Ministry of India enabled it to become one of the most sought-after long-term investment schemes in recent times. It is best suited for salaried individuals who want to reap tax benefits. Tax Saver Fixed Deposit is also one of the most popular and top tax saving investment options for any salaried individual or small business owner. It is compliant with the Section 80C of the Income Tax Act. The interest rates offered on an FD currently is 4.5 – 7.5 per cent per year. If one invests in an FD with a 5 – year lock-in period from a post office they will get a yearly interest rate of 8 per cent. The interest amount one will be getting on the FD and on the maturity amount will be taxable. It is known for the plethora of investments options it offers to its applicants. On top of that, one can also choose their Pension Fund Manager as they please. It is a great way to grow one’s wealth in a reasonable and safe manner. That being said, another alluring USP of this investment option is that applicants can easily switch between investment channels within the NPS along with their PFMs as they please. One should also keep in mind that, similar to all other investment options, the returns one gets by investing in NPS are subjected to market risks. It is best to read the offer documents carefully before investing. It is a portable investment option as it provides the applicant with the freedom of choosing investment options as per their profession and location of residence of the applicant. If you look into top tax saving investment in India, you can not forget Insurance. Govt employees, private employees and business owners, most of them owned many insurance policies to save taxes. According to section 80C, Any premium paid against life insurance qualifies for tax deduction. As long as the applicant pays the premium amount on time, they can keep the insurance till they are 120 years old. One can easily borrow money against the coverage of their insurance plan and use the same for building a house or to send their kids for higher education. The loan amount won’t be subjected to taxes or penalties. In the case on has opted for permanent life insurance, it should be kept in mind that in case the applicant falls terminally ill, a plethora of benefits can be obtained from the insurance plan. After giving the above sections (top tax saving investments) a read, it is evident that many will first consider the market volatility and then take the next step which is selecting the investment scheme that suits their needs. It is advised that one should invest in a scheme that has risk factors that are at par with their risk-taking abilities for best results.